Jese Rodriguez dismissed concerns about his weight when he was presented by Real Betis on Tuesday. 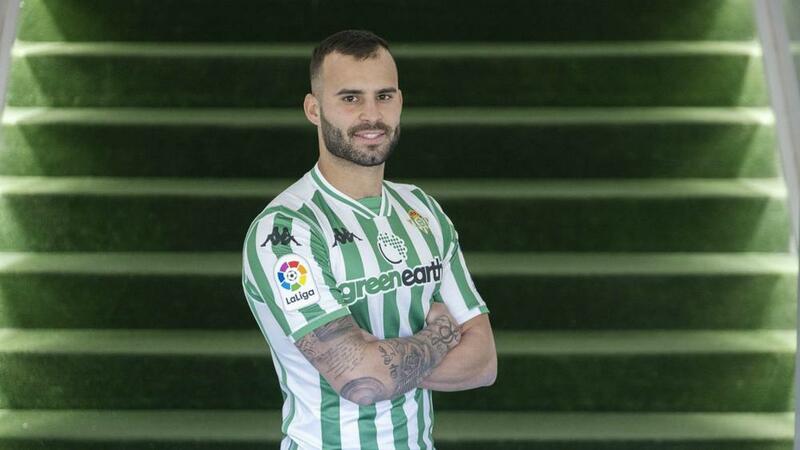 Former Real Madrid forward Jese last week joined Betis on loan until the end of the season, having made just one appearance this term for PSG. The 25-year-old brushed off a question about his physique following a lack of playing time – he has not started a competitive senior match since last March, when he was on loan at Stoke City. "I'm fine. I've been training quite a fair bit since I started the campaign with PSG," said Jese. "A lot of people have commented on my weight. I had a knee injury and I had to build up strength in my legs. What I have is muscle, not fat." Jese was an unused substitute as Betis beat Atletico Madrid 1-0 on Sunday and he is aware of the doubts surrounding his arrival. "I'm very happy to be at a club like Betis, it is a challenge for me to be here and all I'm thinking about is playing and the goals will come," he said. "I'll give everything and want to show what I can do every minute in training and prove to the coach that I'm ready to play at any time. "That some people have doubts about me is normal, but one thing they can't doubt is my commitment. "As I said, I'll give everything I have in me to help the team and do things right." On the possibility of the move becoming permanent, he added: "You have to see what the club want to do first because they might not even want me. "At the end of the season, we'll see what happens. I belong to PSG and I hope that everything goes well. "If the club want me, then we can sit down to talk at the end of the season."